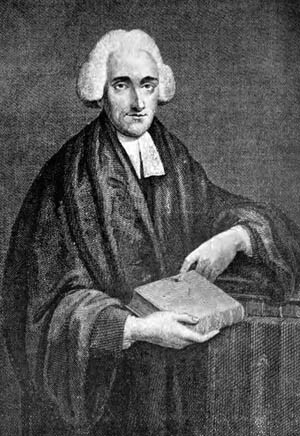 The Church of England Vindicated from the Charge of Arminianism; and the Case of Arminian Subscription Particularly Considered, in a Letter to the Rev. Dr. Nowell, Occasioned by Some Passages in That Gentleman's Answer to Pietas Oxoniensis. The Doctrines of the Church of England Proved to be the Doctrines of Christ; or, Clerical Subscription no Grievance, in a Discourse. Free-will and Merit Fairly Examined, or, Men Not Their Own Saviour: The Substance of a Sermon Preached in the Parish Church of St. Anne, Black Friars, London on Wednesday, May 25, 1774. London: J. Mathews and G. Keith, 1775. Good News from Heaven, or, The Gospel a Joyful Sound: The Substance of an Excellent Sermon, Preached at the Lock Chapel, near Hyde Part Corner, on Sunday, June 19, 1774. The Scheme of Christian and Philosophical Necessity Asserted in Opposition to Mr. John Wesley's Tract on that Subject, with a Dissertation concerning the Sensible Qualities of Matter and the Doctrine of Color in Particular. London: Vallance and Simmons, 1775. The Existence and the Creed of Devils Considered, with a Word Concerning Apparitions: A Sermon, Preached in the Parish Church of St. Olave, Jewry, on Sunday, October 29, 1775. Moral and Political Moderation Recommended in a Fast-sermon Delivered at St. Mildred's, London, Friday, December 13, 1776. The Works of Augustus M. Toplady.